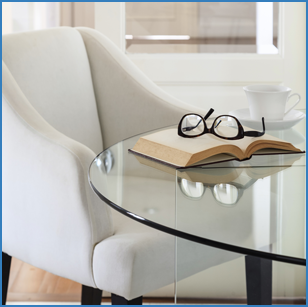 The 21” Round Glass Top is made of the finest quality furniture glass. This clear glass tabletop features a 1” flat polish edge and is 3/8” thick with a weight of 21 lbs. 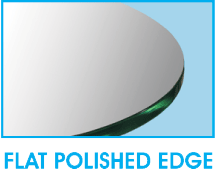 The edges of the glass are professionally polished to ensure a smooth to the touch feel.